Yes there are bonuts after you’ve UNLOCKED BORT. Scratching That Itch. For every 3,500 you collect you’ll have a shot at 1 2 or 3 donuts…. What are your initial thoughts on Act 2 of Itchy and Scratchy Land? Thoughts on the dialogue so far? Prizes? Any items you’ve purchased? Sound off in the comments below, you know we love hearing from you! 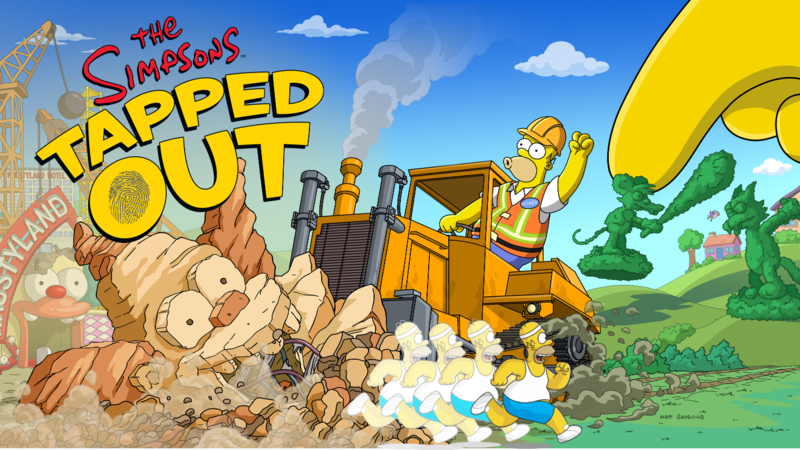 This entry was posted in Tapped Out, Tips and Tricks, Updates and tagged Act 2 questline, bort, Free Donuts TSTO, How do i unlock the log ride, Itchy and Scratchy land act 2 questline, Itchy and Scratchy land event, log ride crafting, parade roller, parade train, Tapped Out Tips and Tricks, The Simpsons Tapped Out, TSTO Addicts, TSTO Itchy and Scratch Land, TSTO Tips and Tricks. Bookmark the permalink. My corporal punishment is still blocked from finishing a task playing with hand puppets…since summer. What else do i need? I’m having trouble getting going with the flow to start. I have bort and itchy is free… I do already have all the craftsbles in the quest line could that have done it? I unlocked the roller parade, and the task is to start it. But I tap on it, it says it requires the animontronic axe, and is locked. I thought that the axe was unlocked when the roller parade was unlocked? How do I get it? What I would like to know is if there was a change in the amount of parkgoers the game generates per hour. During Act I, I would clear more than 30 when I surpassed 4 hours when I had last logged in. When the daily activity was to clear 30, I easily did it. But now it has been 5 hours since I last logged in and when completing the daily task I only cleared 26 parkgoers before I cleared them all. I’m sitting out this event. I’m still tapping parkgoers with a view to getting the land token but that’s it for me. It is good to see others enjoying it though. I also can’t get my log ride to animate. Have unassembled and rebuilt three times and bought an extra piece but no success; so I won’t be able to complete the quest line. Again…….. you have to make sure that the red dots connect. They turn green when you match correctly. I can not assemble my log ride. Can someone please post a picture of what it should look like? I understand how to connect the pieces but it is not animating. Then you aren’t connecting the pieces correctly. Connect the RED DOTS until it turns green. Ya? I managed to clear the first part of the task just in time (after nearly 2 weeks with THAT bug) and now it’s rolled back saying I haven’t cleared the first part at all! Noooooo!! Surely I don’t need to uninstall and reinstall again?? The log ride fits in the bonus area but it required some serious remodeling on my part. I’m not liking this event at all. I am sure I would like this event if I could actually play it !!! Come on EA do something about the lag in the game. I’m enjoying the Event Prizes this time. Crafting the Log Flume Ride is fun (looking forward to obtaining the Parade Roller Stations – 2 of them, right?). I’m glad we get more Free Land Tokens, wish we could Craft these, but I still get a Game Lag on occasion. The bonus % area is very small. I already almost filled it up. Can’t see how act 3 should even fit in there. Its a shame I can´t get a decent design on my rollercosters. Once you have 20% on the log ride, you can move the race track anywhere or even store it. Yup, I have 4 of them…2 on either side and in front of the gate…and they are just barely in the “zone”. Just enough to add 12% bonus👍😁. Thank you, Alissa. 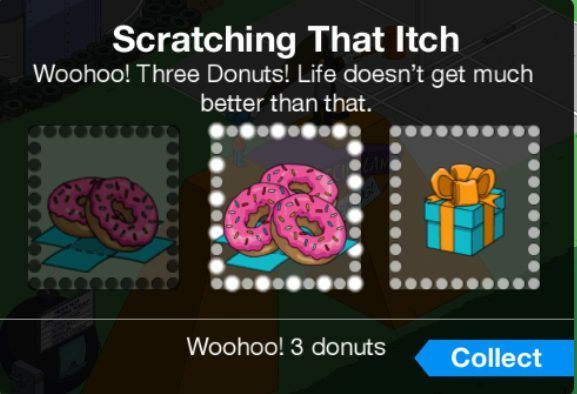 So, there is not task in the quest line to finish to get the bonus donuts, aside from getting Bort? Logged in this morning and the main task has disappeared?? Anyone else having the same problem? E.A…We have to get more land this event is taking up a ridiculous amount of real estate!… Perfect time for the Duff formula one car. Thanks. Anyone else having trouble getting the logride to fit in the bonus area? I feel like I have just the stuff I should at this point: race track plus extra pieces to get the bonus, ticket booth, nurses station, and 2 parking lots. I thought with the big log ride they would’ve expanded the bonus area. Thanks! Yes. Same here. I haven’t figured out how to get everything in the bonus area. That’s the one thing I’m not liking about this event. It’s thrown my design off big time! Keep in mind that items can just touch the bonus area to receive the bonus, they don’t need to be in it completely. And then based on the Zoominator in the Find Building section with the pieces we can see in the crafting for Act III I fear we are going to have to keep our parts dismantled just to fit until near the end of the event or at least we can start designing once we max out the percentage. The bonus area is HUGE, there is plenty of space for everything. Perhaps you have your I&S Gate too close to the edge of unpurchased land. Try moving your I&S Gate away from an edge and you might see the full ‘bonus zone’. Indeed, it’s larger than I realized. Too much “plopping” going on right now, for me. After Act 1, I had a nice layout, then I had to shove things in. I’ll see how it goes now that I have the full area. My problem is on an iPad, I can’t really view the whole zone. Once I scroll the entrance far enough, the zone un-highlights. Oh, well.